This catalogue unites a number of previously separate sources (such as Humanities and Social Sciences post-1975, Asia, Pacific and Africa Collections, newspapers, etc.) 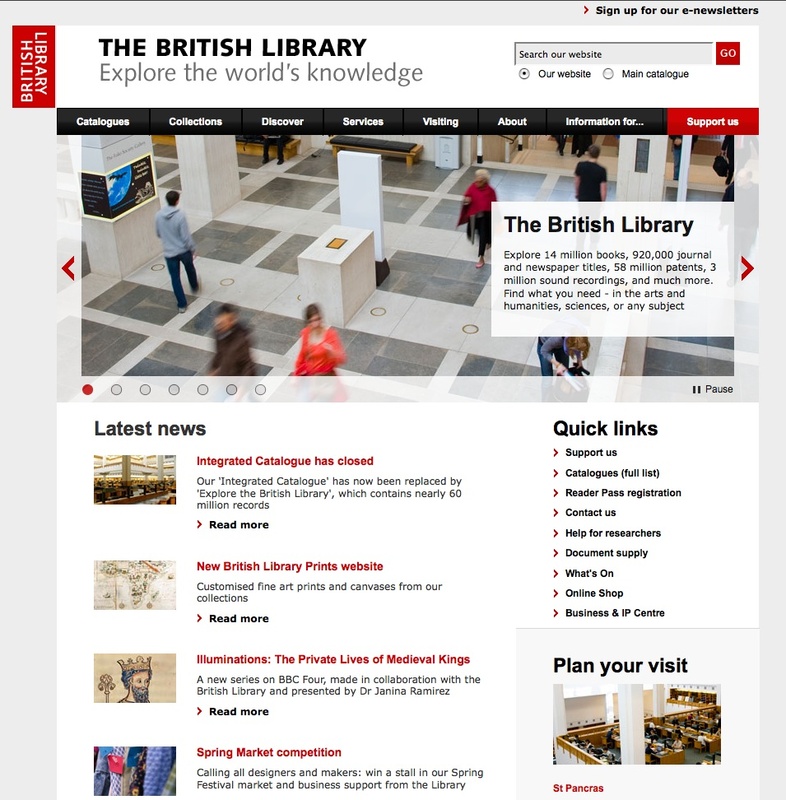 to list over twelve million items in the British Library’s outstanding collections. Users can access this repository to find information on books and other documents, and to order material (for a fee and with some restrictions). Anyone can search all the records in the Integrated Catalogue immediately and without any charge, with no need to register or obtain a password. Users can access the Basic Search as well as more advanced search options. Subsets of the Integrated Catalogue, including the separate catalogues brought together to form the integrated catalogue, can be also searched separately. Other free services are offered, including saving, emailing or printing lists of records while, in order to reserve items in advance, login and password are required. The website features a simple outline and basic options, providing however outstanding results for its reference material covering such an extraordinary number of records. As the catalogue’s main feature, the search engine provides basic keyword and advanced options, along with simple browsing of the Alphabetical Index or the subset series, thus allowing for a great flexibility and ease of use.